The Wave is a dramatic form, a double-curved armature based on a sine wave. 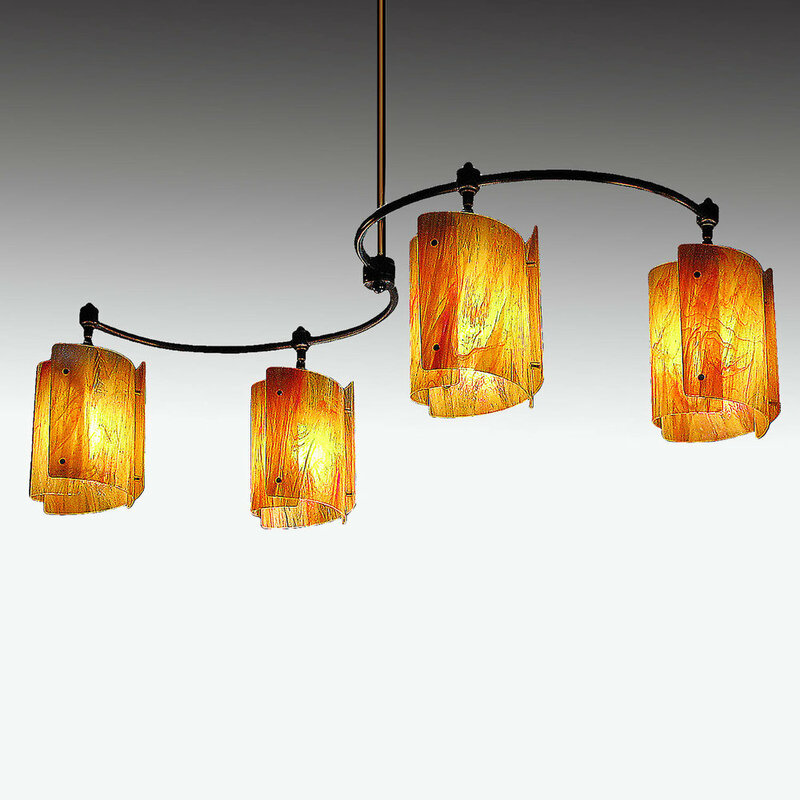 Holding 4 Mini-Sushi (or other) pendants in an oiled-bronze, satin brass or chrome armature, this graceful lighting instrument will provide direct and ambient light as well as being a decorative fixture that will punctuate any interior space. 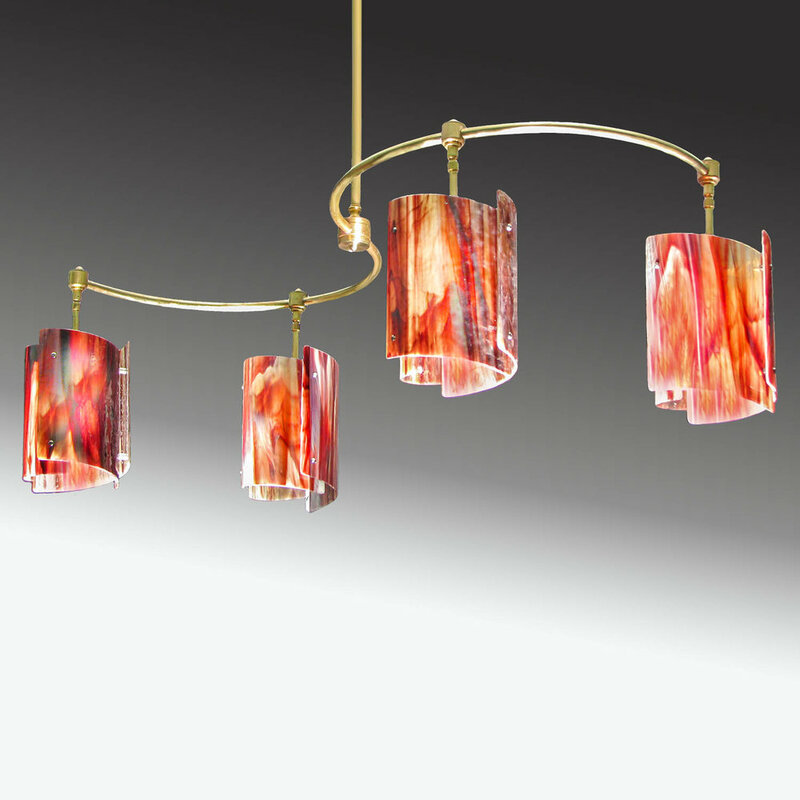 As with all our lights, you may specify any of our pendants and dozens of American made art glass. Comes with 3 feet of ½" tubing drop tube in chrome, satin chrome, satin brass or dark oiled bronze with matching canopy and articulated hang straight. Custom colors available. Drop tube lengths greater than 3 feet are $15per additional foot. We need to know the exact measurement from the ceiling to the bottom of the glass so we may cut the tubing to the correct length. Cutting the tubing is best done by us on our machine tools. Check our PDF file for further information on calculating the drop tube length.